This article will show you how you can create a column 3D chart in asp.net using c#.net and Vb.net. 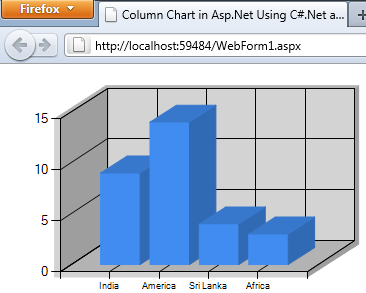 In this I have shown how to bind and display the 3D chart in asp.net. So for this article first we will create a new asp.net application and add a chart control in it. 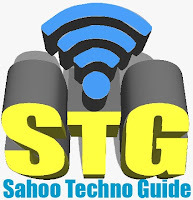 After adding chart control we will set the type of chart control in added chart control. After adding the chart control we will add the ChartArea for making the chart 3D look. So after adding all the propertied our .aspx code will look as shown below. In above code I have added the coordinate column name for binding the data to the datatable. Now let’s come to the code part for assigning data to the chart control. Have a look of the below code. In above code simply I have assign some values in datatable and after that assign to the chart control.